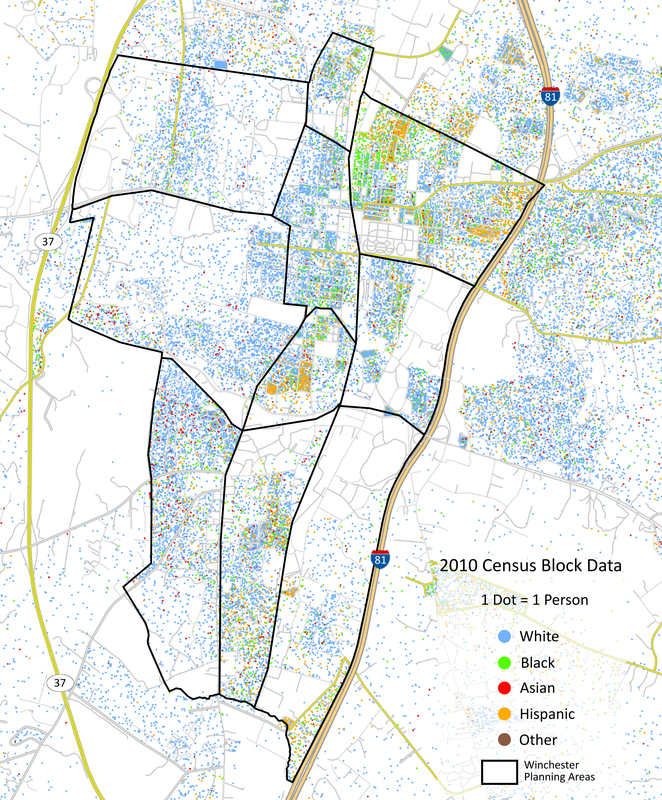 For the new, interactive, Racial Dot Map project visit HERE. Despite their utility and beauty, these maps have their limitations. They are bounded by the highest resolution possible with census data, namely population data by Census Block, the smallest unit of census geography (roughly equivalent to a city block in a urban area). The dots are randomly placed within Census Blocks so sometimes may not represent actual residences for some larger area and less-populated Census Blocks. Note: The racial categories for White, Black, Asian, and Other are all non-Hispanic. Hispanic dots represent a person of any race, but are usually categorized as Hispanic White or Hispanic Other. High-resolution images available upon request. — Dustin Cable is a Policy Associate at the University of Virginia’s Weldon Cooper Center for Public Service where he conducts research on topics that lie at the intersection of demographics, politics, and public policy.